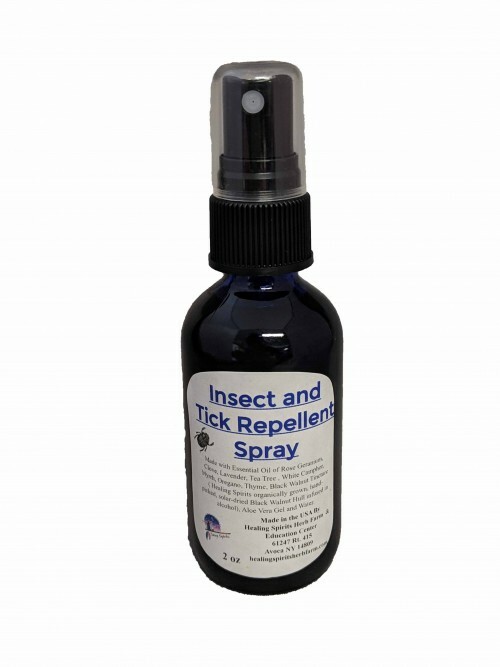 This is a great product to protect against insects and ticks in a way that is safe for the environment and for you and your loved ones. Helpful for keeping away lyme carrying ticks. Contains: Water, Aloe Vera Gel, Essential Oils of Rose Geranium, Clove, Lavender, Tee Tree, White Camphor, Myrrh, Oregano and Healing Spirits Organically Grown, Hand Picked, Solar Dried Black Walnut Hull infused in 40% Alcohol.